On April 12, 1955 Dr. Jonas Salk announced that he and his team had developed a working vaccine to combat polio.� In 1962 Dr. Albert Sabin announced that he and his team developed a better vaccine for polio.� The world rejoiced in the news of both men. And like Smallpox before it, scientists did believe that polio could be wiped out in a few generations.� It would have been but for one thing:� ISLAM. According to a leading expert on Islam, Daniel Pipes, the dreaded polio disease is resurgent in the Muslim world, because of one man’s paranoia. 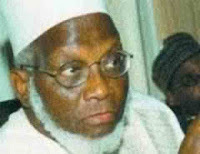 Ten years ago, writes Pipes, polio was on the verge of eradication, when Ibrahim Datti Ahmed, president of the Supreme Council for Sharia in Nigeria and a physician, suggested in mid-2003 that the vaccination program in his country was part of a Western conspiracy to render Muslim children infertile. �His call for an end to the polio immunization campaign touched a nerve and spread to other Muslim religious leaders in Nigeria, causing the vaccination process to slow down and incidences of the disease to pick up. In Africa: Angola, Benin, Botswana, Burkina Faso, Cameroon, Chad, Central African Republic, Egypt, Ghana, Guinea, Ivory Coast, Kenya, Mali, Niger, Somalia, Sudan, and Togo. In Asia: Afghanistan, India, Indonesia, Pakistan, Saudi Arabia, and Yemen. �A single conspiracy-obsessed Islamist,� Pipes sums up, �equipped with an organization and credentials, has caused polio not to be eradicated but instead to win a new lease on life. I wonder if this paranoia is due to the fact that both Dr. Salk and Dr. Sabin were Jews.� Or is it a way to control their people.� Or perhaps both. Somalia, Sudan, Togo,� Afghanistan, India, Indonesia, Pakistan, Saudi Arabia, and Yemen are condemned to suffer from this disease.� A disease that cripples as often as it kills.� A disease that is preventable by not one but two working vaccines.� But to the Muslim mind it is an evil created by the West to destroy Islam. Oh if it was only that easy! Sorry about all the cheeeldrennn and that, but they’d only grow up to hate so stuff them and all the rest of the muslim filth. Kill your kids, murder your daughters and blow yourselves up willy nilly, your only reward for that is my laughter. Robert the Biker, I remember one of my first posts, over 6 years ago, was an essay about what I thought Muslim women felt and believed. I thought if given the opportunity to choose any place in the world to live with her children and husband, if she chose to take him, and understanding that no consequences would be paid by anyone among her family or friends left behind, she would chose the free world in a heartbeat and not under Islamic law. I still believe that’s true – even Palestinian woman who gladly accept money in exchange for a suicide belt for their child. The problem is Muslim men, and yes they do demean their boys, murder their daughters and beat their wives. Loathsome power mongers. Add this to the wide spread female genital mutilation of these little girls. Yet not a peep from the so called “Progressives”. Bunker, and not a word from feminists. Disgraceful. They’ve outed their true agenda over and over.